A phone reverse lookup lets you identify the owner of a telephone number by entering the number into a database. If you receive an unidentified telephone call or text message and you want to determine who contacted you, conduct a phone reverse lookup search to identify the telephone number. Some phone reverse lookup services are free and other services charge a nominal fee to deliver identifying information. 1. Check the entire 10-digit number to make sure you have the correct number. 2. Visit a website that provides reverse phone lookup services. For example, 411.com, Intelius.com and PeopleFinders.com all provide reverse phone lookup services. The 411.com website provides free services without registration required. The Intelius website requires account registration and charges a fee. The PeopleFinders website charges a membership fee with account registration, which enables unlimited reverse phone lookup searches. Another option is to use an Internet search engine and enter the 10-digit number into the search engine field. Click “enter” or “find” on the lookup website or the search engine to search for a name connected with the number. 3. View the results. 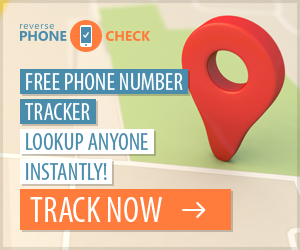 If you are using a reverse phone lookup service, they often work by searching the database, locating the information you want, and then trying to charge you a fee to give you the name. If you are using a search engine, view the search results. It’s possible that by scanning down the list of results, you will notice a name that recurs with multiple search results, indicating that this name goes with the phone number. Click on some of the search results to see if they lead to text on a website that connects the name to the phone number. Enter the 10-digit number with or without hyphens – most reverse lookup services and search engines will provide the same returns whether or not you use hyphens. If you use Google, watch out for scam sites that don't offer you any information until you pay. They should at least show you partial information so you know they found something even if it requires a fee. Watch out for sites that don't post their phone number or address on the web site. If a search site is trying to sell you something do not provide credit card information unless you are sure they are legitimate. If there is no way to contact a company other than by web form, you have to ask yourself why?